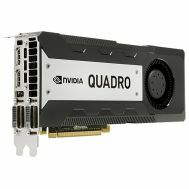 J0G92A HP Nvidia Quadro M6000 12GB Gddr5 PCIE 3.0 X16 Graphics Card. New Bulk Pack. J0G92A HP Nvidia Quadro M6000 12GB Gddr5 PCIE 3.0 X16 Graphics Card. Refurbished. 734772-001 HP Nvidia Quadro Grid K1 PCI Express X16 16GB GDDR5 SDRAM Video Card. New Bulk Pack. 734772-001 HP Nvidia Quadro Grid K1 PCI Express X16 16GB GDDR5 SDRAM Video Card. Refurbished. 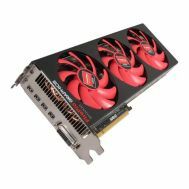 100-505858 Sapphire AMD Firepro S10000 Graphic Card 6 GB GDDR5 PCI Express 3.0 Fulllength/Full Height Dual Slot Space Required. New Bulk Pack. 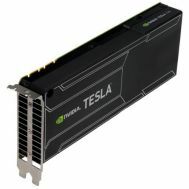 747401-001 HP Nvidia Tesla K40C Comp ACC Modle PCI Express X16 12GB GDDR5 SDRAM Graphics Card. New Bulk Pack. 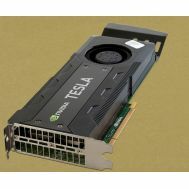 744718-001 HP Nvidia Tesla K40C Comp Acc Modle PCI Express X16 12GB GDDR5 Sdram Graphics Card. Refurbished. 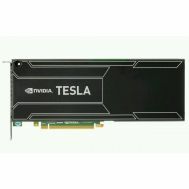 744718-001 HP Nvidia Tesla K40C Comp Acc Modle PCI Express X16 12GB GDDR5 Sdram Graphics Card. New Bulk Pack. C2J96AA HP Nvidia Quadro K6000 PCI Express X16 12GB GDDR5 SDRAM Video Card. New Bulk Pack. 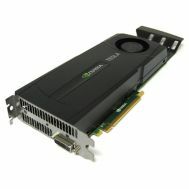 C2J96AT HP Nvidia Quadro K6000 PCI Express X16 12GB GDDR5 SDRAM Video Card. Refurbished. C2J96AA HP Nvidia Quadro K6000 PCI Express X16 12GB GDDR5 SDRAM Video Card. Refurbished. 730876-B21 HP Nvidia Quadro Grid K1 PCI Express X16 16GB GDDR5 SDRAM Video Card. Refurbished. 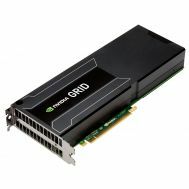 736759-001 HP Nvidia Quadro Grid K1 PCI Express X16 16GB GDDR5 SDRAM Video Card. New Bulk Pack. 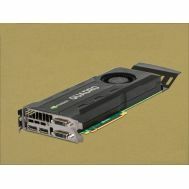 713207-002 HP Nvidia Quadro K6000 PCI Express X16 12GB GDDR5 SDRAM Graphics Card. Refurbished. 713382-001 HP Nvidia Quadro K6000 PCI Express X16 12GB GDDR5 SDRAM Graphics Card. Refurbished. 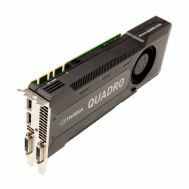 713207-001 HP Nvidia Quadro K6000 PCI Express X16 12GB GDDR5 SDRAM Graphics Card. Refurbished. 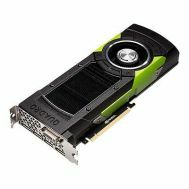 762007-001 HP Nvidia Quadro K6000 PCI Express X16 12GB GDDR5 SDRAM Graphics Card. Refurbished. 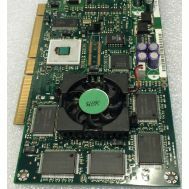 540-5470 SUN Microsystems Sun XVR-4000 Graphics Accelerator For Sun Fire V880. Refurbished. 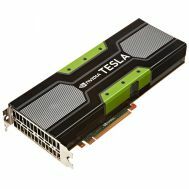 C7S14A HP Nvidia Tesla K20m 5GB GPU Graphics Card. New Bulk Pack. 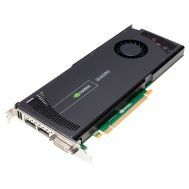 C7S14A HP Nvidia Tesla K20m 5GB GPU Graphics Card. Refurbished. M9188-E2048F MATROX M9188 2GB DDR2 SDRAM Graphics Card W/O Cable. New Factory Sealed with Full Manufacturer warranty. 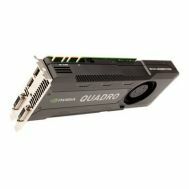 VCQK5000-PB PNY Quadro K5000 Graphics Card Nvidia Quadro K5000 4GB PCI-E X16. New Bulk Pack. 0B47081 Lenovo Quadro K5000 Video CARD 4 GB PCI Express 2.0 X16 Full Height Nvidia Quadro K5000 PCIE 2.0 4GB 2DP 2DVI 3840 X 2160 Displayport Dvi. Refurbished. VCQK5000MAC-PB PNY TECHNOLOGY Nvidia Quadro K5000 4GB Gddr5 SD RAM PCI Express 2.0 X16 Full Height Graphics Card. Refurbished. 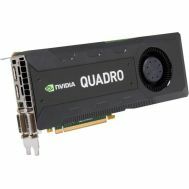 VCQK5200-PB PNY Nvidia Quadro K5200 8GB PCI-E X16 GDDR5 Graphics Card. New Bulk Pack. 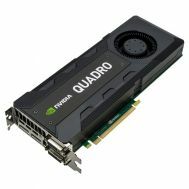 783876-001 HP Nvidia Quadro K5200 8GB Graphics Card. New Bulk Pack. 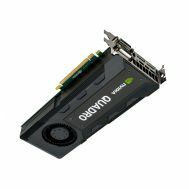 765150-001 HP - Nvidia Quadro K5200 8GB Graphics Card. New Bulk Pack. 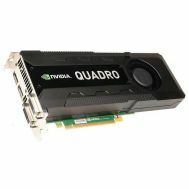 764901-001 HP Nvidia Quadro K5200 8GB Graphics Card. New Bulk Pack. 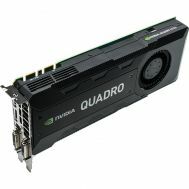 J0G91A HP - Nvidia Quadro K5200 8GB Graphics Card. New Bulk Pack. 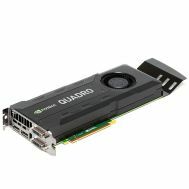 J3G90AA HP Nvidia Quadro K5200 8GB Graphics Card. New Bulk Pack. J3G90AT HP Nvidia Quadro K5200 8GB Graphics Card. New Bulk Pack. 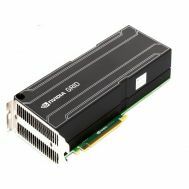 B3M66A HP Nvidia Tesla K10 Dual GPU PCIE Module 8GB Graphics Card. New Bulk Pack. 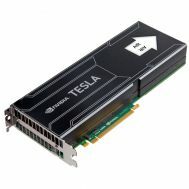 688982-001 HP Nvidia Tesla K10 Dual GPU PCIE Module 8GB Graphics Card. New Bulk Pack. 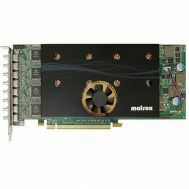 M9188-E2048F MATROX M9188 2GB DDR2 SDRAM Graphics Card W/O Cable. Refurbished. 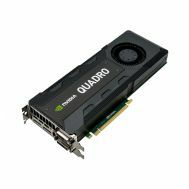 764901-001 HP Nvidia Quadro K5200 8GB Graphics Card. Refurbished. 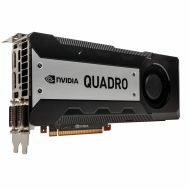 765150-001 HP - Nvidia Quadro K5200 8GB Graphics Card. Refurbished. 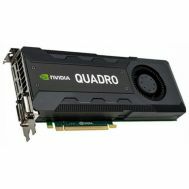 J3G90AA HP Nvidia Quadro K5200 8GB Graphics Card. Refurbished. R93GX Dell Nvidia Quadro K5200 8GB Graphics Card. Refurbished. 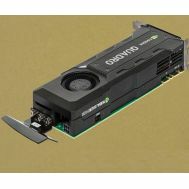 00FC812 Lenovo Nvidia Quadro K5200 8GB Graphics Card. Refurbished. 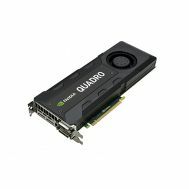 J0G91A HP Nvidia Quadro K5200 8GB Graphics Card. Refurbished. 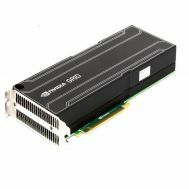 4X60G69025 Lenovo Nvidia Quadro K5200 Graphics Card 8GB. Refurbished. 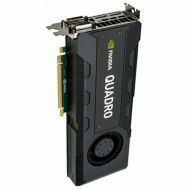 783876-001 HP Nvidia Quadro K5200 8GB Graphics Card. Refurbished. 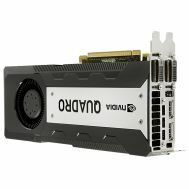 VCQK5000-T PNY Technology - Nvidia Quadro K5000 4GB GDDR5 SDRAM PCI Express 3.0 X16 Video Card W/O Cable. New Bulk Pack. 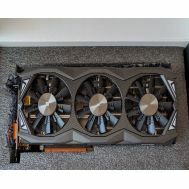 ZT-90503-10P Zotac Zt 90503 10P Geforce GTX 980 TI Graphic Card 1.05 GHZ Core 1.14 GHZ Boost Clock 6 GB Gddr5 Sdram PCI Express 3.0 Video Card. New Bulk Pack.